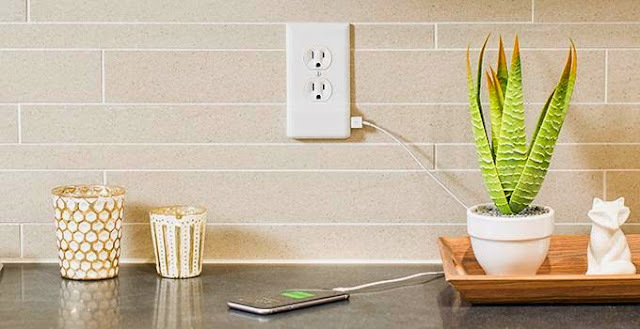 12 Smart Sockets and Switches. 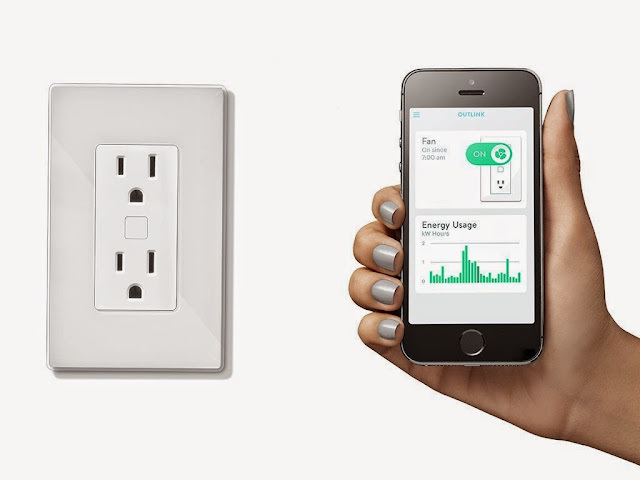 These 'Smart Sockets and Switches' are best suited for your smart home. 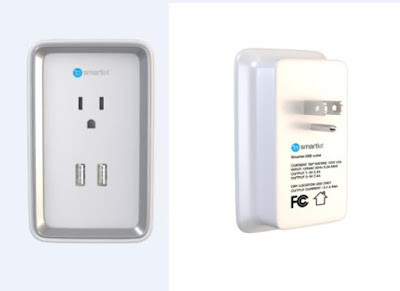 Nyrius Smart Outlet: All you need to do is plug the Smart Outlet into any home outlet, connect your appliance, and control it wirelessly with the Nyrius App. 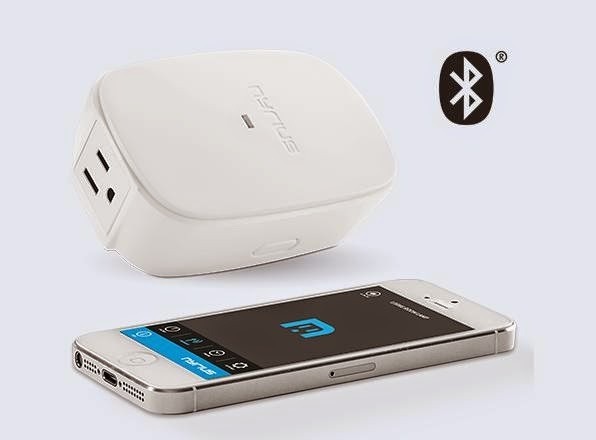 It allows you to control your home appliances up to 33ft from your Bluetooth enabled smartphone. You can also set scheduled timers to activate and deactivate on any day and time of the week. 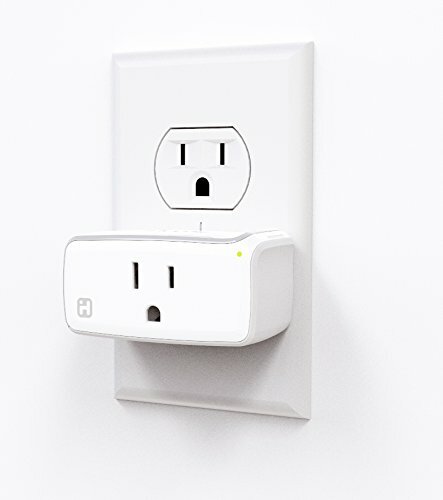 Its "Proximity" feature can detect when someone enters and leaves the room and will automatically turn your appliances off. Its perfect for indoor lighting, space heaters, A/C wall units, irons, home stereo systems, or any device you want to control. Buy Now - $39.99 . iHome Control Smart Plug: iHome Control is a smart plug that lets you manage your small appliances (up to 1800 watts) wirelessly. You can control window air conditioners, portable heaters, coffee makers, most lights, home audio systems and more. Its compatible with Apple HomeKit and Android, you can use Siri to turn on your lights, music and more. 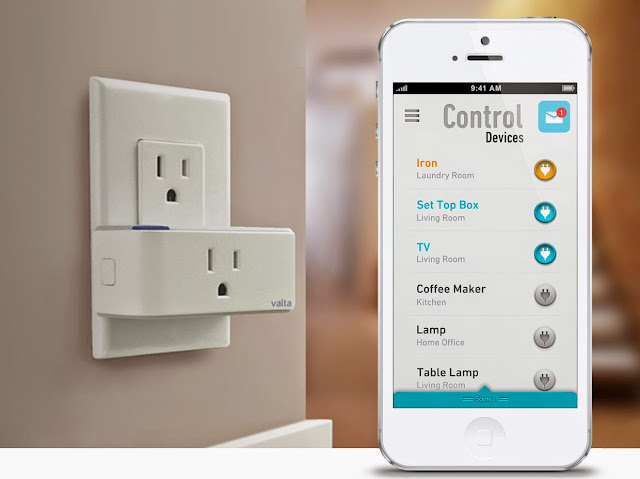 Using its app you can create your own scenes and rooms and manage multiple plugs. Its Wi-Fi enabled and doesn't require a hub to work. Buy Now - $34.23. Zuli Smartplug: The Zuli smartplug lets you control your lights and appliances from your smartphone. It communicates with your smartphone using Bluetooth Low Energy, and gives you unmatched control, monitoring and automation. All you need to do is plug the smartplug into any standard US outlet, connect any light or appliance, and install its app on your smartphone. You can turn on/off your appliances upto 1800W, dim the lights, schedule, and monitor the energy of your favorite device. And once you have minimum of 3 Zuli smartplugs, these form a Bluetooth mesh network that allows them to talk to each other. Using its proprietary location algorithm, the network detects what room you are in and will adjust your devices to your preferences to make you more comfortable and energy efficient. Buy Now - $ 159.99. 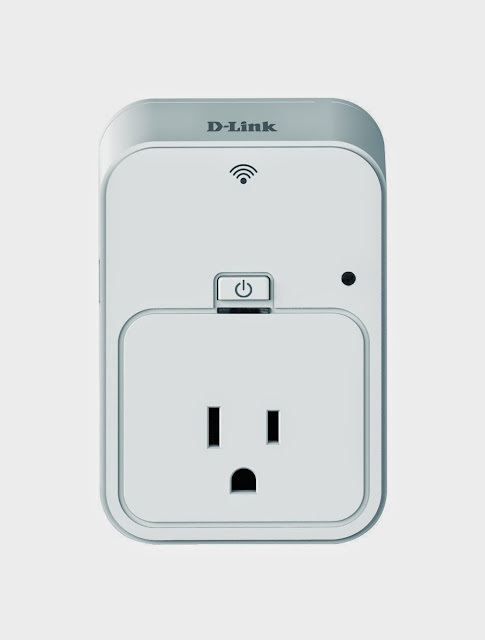 Outlink Smart Remote Outlet: The Outlink Smart Remote Outlet comes with one standard outlet and one smart outlet that connects with the Wink App on your smartphone. Using your smartphone, you can turn its power on or off remotely, monitor the power usage, preset a budget and get notified if it's reached or exceeded. Buy Now - $24.77. 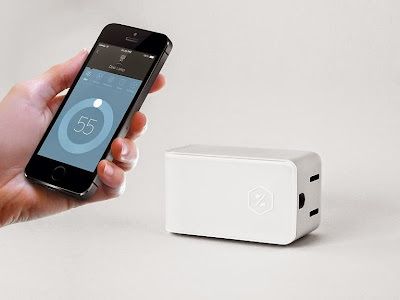 WiTenergy: The WiTenergy is a smart energy meter that connects with your smartphone and measures energy usage and controls appliances. It measures current, wattage, voltage, frequency, and power. Its app is compatible with your Android and iOS smart devices. Buy Now - $36.99 . 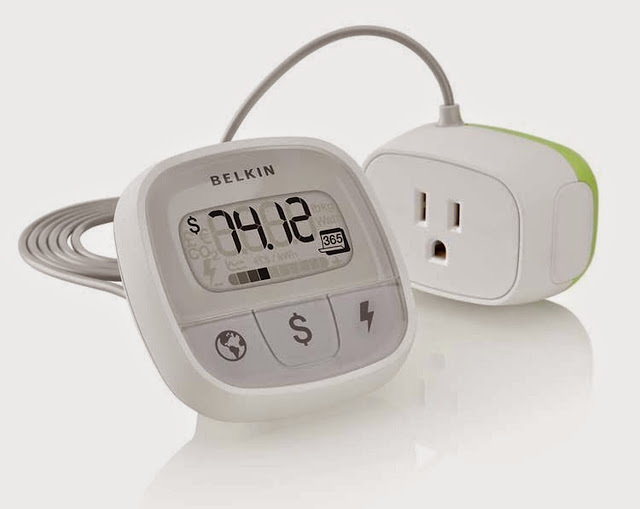 Belkin Conserve Insight: The Belkin F7C005 Conserve Insight Energy Cost Monitor allows you to plug-in your devices and shows how much they cost you to use them on a yearly or monthly basis and more. Buy Now - $14.92. 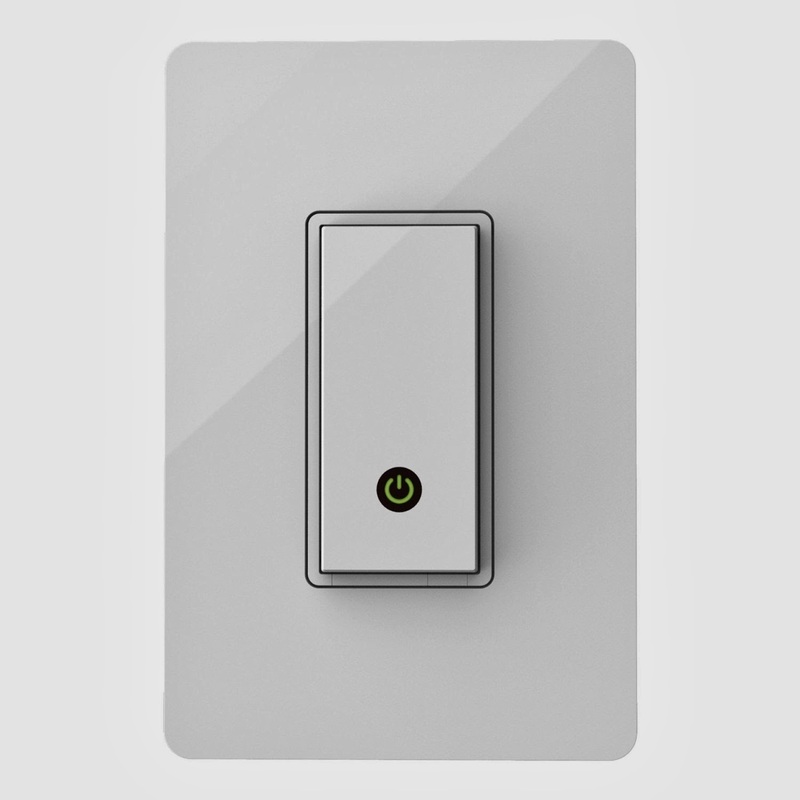 Belkin WeMo Light Switch: The Belkin WeMo Switch works with your existing Wi-Fi router and WeMo app on your iPhone, iPod touch, iPad - iOS 7 or higher and gives you wireless control of your home appliances and electronics. Buy Now - $40.99. D-Link WiFi Smart Plug: It allows you to control your electronics from anywhere with the home automation app for smartphones and it can detect overheating appliances and automatically shuts them off. Buy Now - $39.99. Valta Starter Kit: Valta is a remote energy management system that can automatically detect unused devices, identify energy wastage, and send notifications to your smartphone. 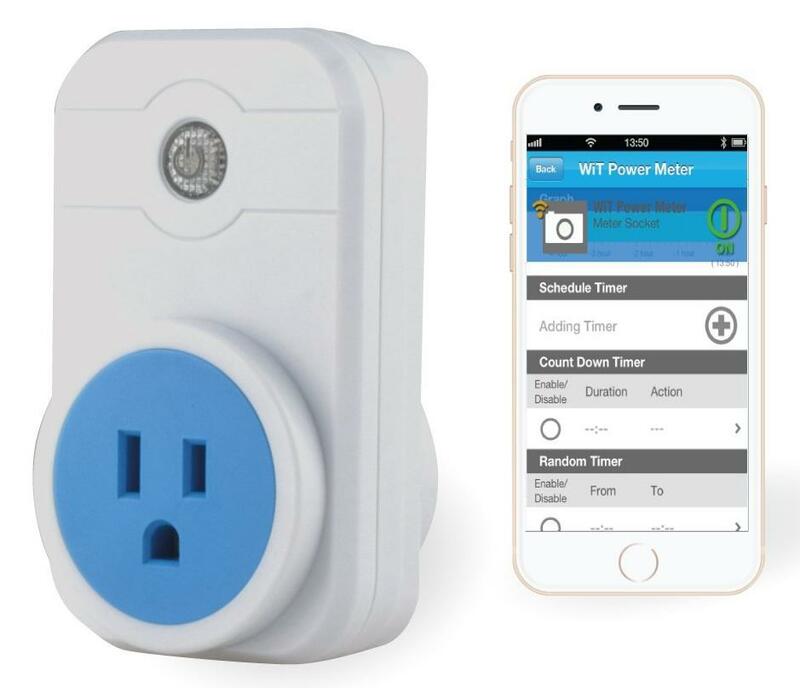 It connects to your home router and allows you to check and control connected devices on an iPhone anywhere or anytime. Buy Now - $149. Snappower Recharger: With all the smart devices around, we are always looking to recharge them, and Snappower Recharger makes that easy. It's a USB recharger built into an outlet plate. All you need to do is remove your standard outlet cover and replace it with this device. Buy Now - $19. 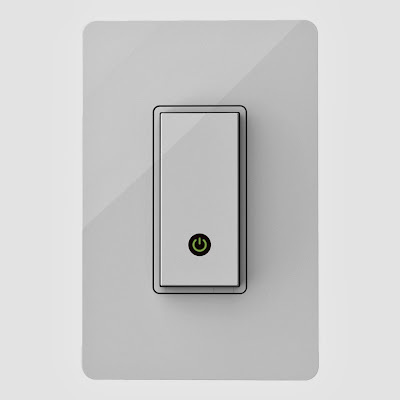 Switchmate: Switchmate is an innovative solution that makes your existing light switch smarter. All you need to do is place the device over your existing light switch, connect it with your smartphone, and you are done. 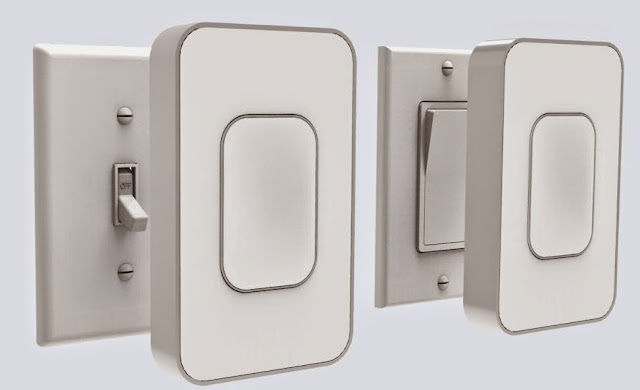 Now you can conveniently control your automated switch within Bluetooth range (150 ft). Using its app, you can control multiple Switchmates and set timers. Pre-Order. 15 Coolest Gadgets For Your Home. 15 Must Have Stay Connected Gadgets. 15 Must Have EDC Gear and Gadgets. 15 Must Have Online Privacy and Security Gadgets. 15 Coolest Cube Gadgets For You. 15 Must Have Key Holders and Organizers. 15 Smart Gadgets For Your TV. 11 Must Have Kitchen Scales. 15 Must Have Swimming Gadgets. 15 Best Laptop Stands for You. 15 Best Gadgets For Frequent Fliers. 15 Must Have Housekeeping Gadgets. 15 Must Have Compact Travel Gadgets. 15 Best Night Gadgets for You. 15 Smart Buttons For You. 15 Smart Bulbs For Your Home. 15 Smart Backpacks, Suitcases and Bags.